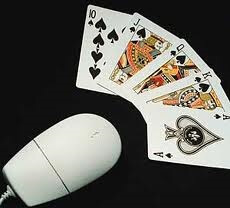 With finger-pointing in the US Senate over who is at fault for the lack of progress on an online poker bill, US online poker players are already throwing their hands up in disgust, and the news coming out of the fractured and atrophied US online poker industry is just as unsettling. In the past week the two largest online poker networks still operating in the United States both made announcements that will not exactly inspire trust from US players. First was the Revolution Gaming Network (formerly the Cake Poker Network) which announced multiple skins, including Cake Poker, would be migrating their US players to another skin on the network, JuicyStakesPoker.com. The migration is likely a way for these skins to insulate themselves from US DOJ action, but as of now they have not released a reason behind the decision to segregate US players –it should be pointed out that nothing changes for any players on the affected skins, as all of the sites share the same player pool, poker tables, and even VIP Points and other promotions. Revolution Gaming was created by Lock Poker when the former Merge Gaming Network skin decided to leave the network and purchase the Cake Poker Network earlier this year, rebranding it as Revolution Gaming. Since taking over the Cake Poker Network, Lock Poker has managed to take the network to the top of the US-facing poker industry in terms of traffic, although the network is still suffering from deposit and withdrawal options that have plagued virtually all of the US poker sites since Black Friday. The more troubling news this week came out of the Merge Gaming Network, which saw one of their skins BluffRoom.com shutdown. According to PokerFuse.com, affiliates for the poker site haven’t been paid in two months, but the site/network says player funds are secure. According to rumors, player funds will be paid by the Merge Gaming Network, but affiliates (who are paid by the site itself) are expected to be left out in the cold. The most likely solution for BluffRoom players is they will be transferred to another skin on the network. The closure of BluffRoom is yet another sign that the online poker industry is no longer the cash-cow it once was, and follows in the footsteps of several other closures and absorptions throughout the industry, most notably the issues plaguing PokerNordica.com, Gutshot.com, Allin Poker, and Purple Lounge, as well as the absorptions at iPoker where smaller skins were absorbed by the larger skins on the network, and the preemptive migration of IGT/Entraction poker rooms to the Microgaming Network before IGT stops offering real-money online poker. It’s safe to say that the US online poker industry, and online poker around the world, may see even more upheaval, at least until legislation is passed at which point the poker world would finally see some stability.